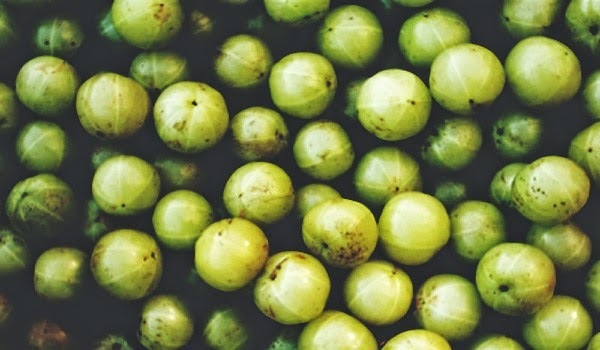 Popular in Ayurvedic medicine, Indian gooseberry is a force to be reckoned with. Otherwise known as amla, this superfruit protects against an impressive list of ailments, many of which are degenerative. The berry is also famous as a potent beauty elixir for its role in reducing hair loss and graying, as well as smoothing wrinkles and fortifying the skin. A veritable 'Fountain of Youth,' amla can help keep you sprightly, vibrant and disease-free. Additionally, consuming amla assists in calcium absorption, which is important for nails and hair. The antioxidants found in the berry protect skin from the inside out, effectively reducing wrinkling and environmental damage, while vitamin C promotes collagen production -- another factor that deflects sagging and poor skin tone.